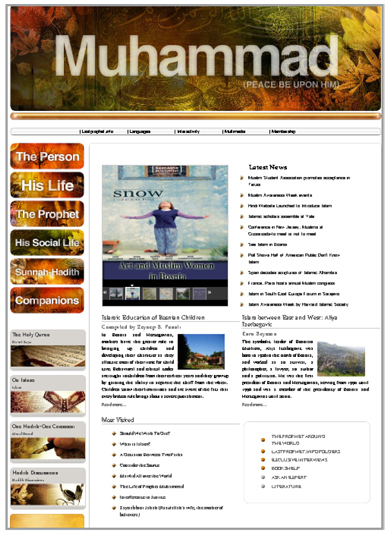 With its official launch in 2007, the Lastprophet.info Web Portal broke new ground in terms of both its content and its distinctive, unique and refined design. While the content was prepared with a great deal of care - following consultation with academics and theologians, all authorities in their own fields - the visual layout of the portal was the work of famous Turkish designer Emrah Yücel, who has created campaigns for top Hollywood feature films as well as designed other, highly visible domestic and international projects. The Web Portal has again pioneered in the world of internet publications with its brand new interface launched in November 2011. With functionality and contemporary design at the fore in its dramatic professional transformation, realized in order to meet the needs of latest developments in internet technologies, Lastprophet.info has once-again consolidated its place in the international arena.